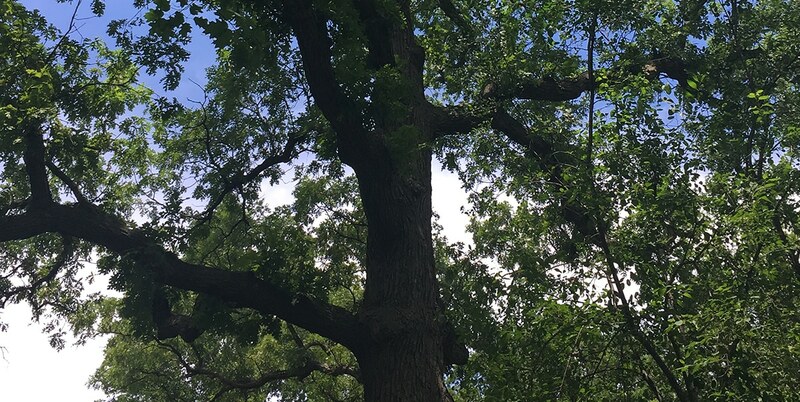 This oak tree is on the property which was once owned by a George Fasse. There are two grave sites at St. Matthew Lutheran Church on Old McHenry Rd that bear the name Fasse. One is for George W. Fasse- (1820-1889- and his wife Wilhemina) and the other is George A.Fasse ( 1867-1922- and wife- Emma). Presumably, these are father and son. There was a great influx of German immigrants into what is now Hawthorn Woods in the mid-1800’s and the Fasse’s property undoubtedly included groves of oak trees that are still thriving on this property.